ReBUILDetroit is partnering with the Association of College and University Educators (ACUE) to offer the Course in Effective Teaching Practices this fall and spring. ACUE’s course is based on more than three decades of research which identifies specific teaching practices that improve learning for all students. Faculty who complete the program are awarded a nationally-recognized Certificate in Effective College Instruction that is co-endorsed by ACUE and the American Council on Education (ACE). The Course consists of 25 learning modules that address over 200 evidence-based teaching practices. 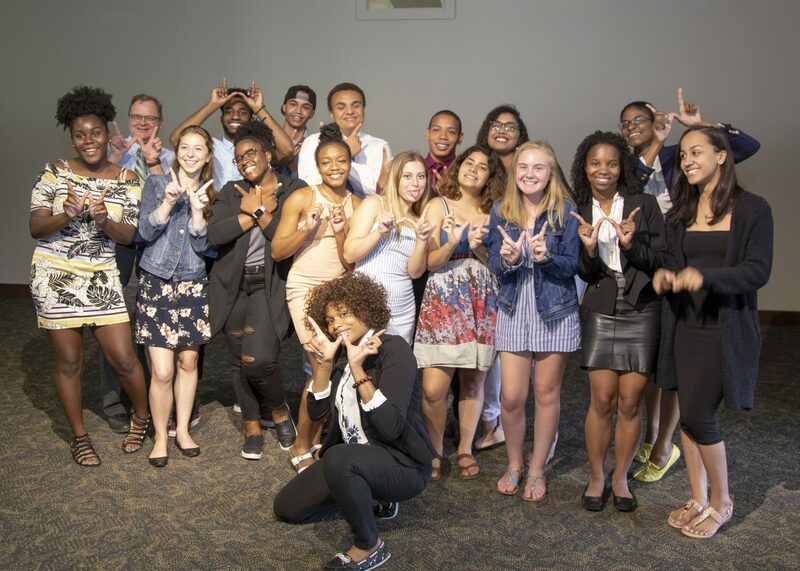 It is completed online with colleagues in a faculty cohort model, guided by facilitator Dr. Jahzara Mayes Otoo, Institutional Development Core Coordinator, ReBUILDetroit. The modules are organized into five units of study: designing an effective course and class; establishing a productive learning environment; using active learning techniques; promoting higher order thinking; and assessing to inform instruction and promote learning. The program kicked off with an in-person orientation lead by ACUE’s Dr. Carmen Macharaschwili, Regional Director of Academic Programs on September 28. The Course began October 1, 2017 and runs through April 8, 2018. Upon completion, participants will receive the Certificate in Effective College Instruction, a transcript of modules completed, and digital badges for each module/unit to demonstrate their success. Badges can be displayed on LinkedIn profiles, used in online teaching portfolios, and displayed on webpages as a sign of their achievement. 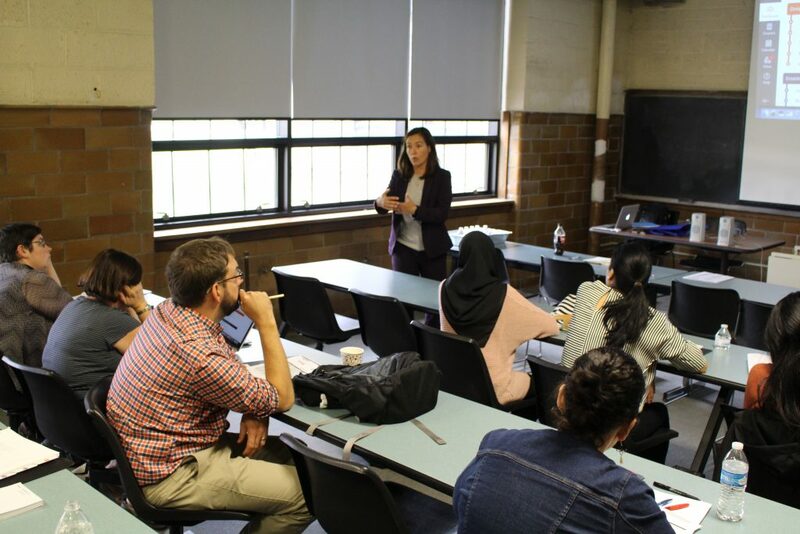 ACUE’s Dr. Carmen Macharaschwili, Regional Director of Academic Programs leads kick-off orientation at University of Detroit Mercy on September 28.